Martin Hartmann works as a Business Developer at Zumtobel Group Services (ZGS), a new division of the Zumtobel Group, where he is responsible for digital solutions. Martin holds a degree in electronic and measurement engineering from the university of Buchs, Switzerland and a degree in industrial engineering from the university of Vaduz. He has more than 23 years’ experience in digital lighting. Martin Hartmann is a guest author for the Bosch ConnectedWorld Blog. The LifeCycle Tower ONE in Dornbirn, Austria, was not just the first cooperative project with Bosch Software Innovations but also ZGS’ first digitally connected pilot project. In 2015, we installed a monitoring system that helped facility managers benchmark the development of various KPIs – for example, energy consumption and voltage. It also helped with space management, as facility managers were able to view statistics on office space utilization. A lighting system by Zumtobel collected data on consumption and the state of the devices within the building. It was then transferred to the Bosch IoT Cloud, where a backend application processed, aggregated, and enhanced the data to determine the KPIs. How did we approach this project? First off, we discussed the needs and requirements of the LifeCycle Tower customer to find out what they expect from us and our digital lighting solution. Next, we worked with Bosch Software Innovations to align these requirements with the technical possibilities. Since it was our first joint project, we started from scratch and took an in-depth look at what is needed. This helped us flesh out a customized solution that best suited the customer’s needs. LifeCycle Tower ONE in Dornbirn, Austria. At Land Securities headquarters, UK’s largest real estate investment trust, we provided a lighting system that empowers digital data services to facilitate space management and remote monitoring. New Zumtobel luminaires were installed along with our LITECOM lighting system in three conference rooms. This system helps connect the worlds of lighting and IT, and to turn data into relevant information. The lighting control system reacts to the way a meeting room is being used with the help of intelligent sensors. So, for example, depending on whether a discussion or presentation is taking place, the system adapts according to the scenario at hand. The system collects, analyzes, and visualizes occupancy data on the cloud-based dashboard, which we co-developed with Bosch Software Innovations and utilize as the starting point for all our digital services use-cases. It enables facility managers to better understand how rooms are used and helps them optimize space utilization – a task made easy thanks to intelligent connected lighting. Lighting, air conditioning, and ventilation are increasingly being combined in modern office buildings. Analyzing data on these aspects can benefit employees and facility managers alike. 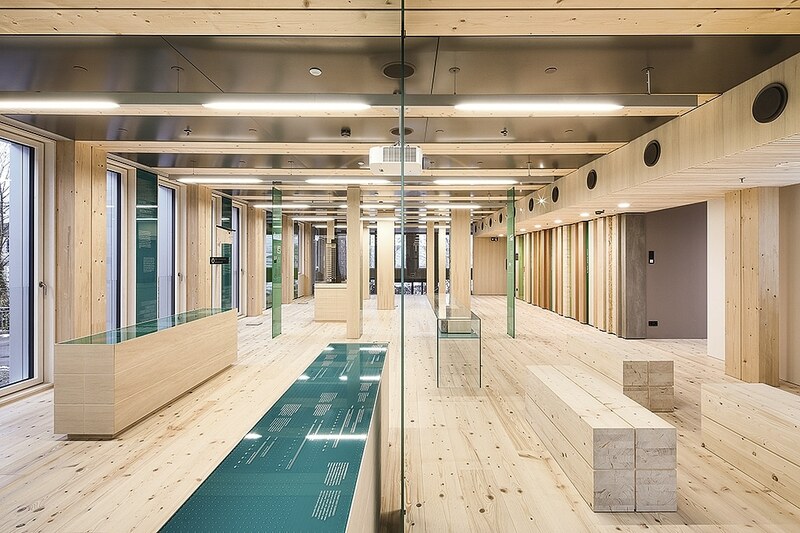 In a test project in Switzerland, we used luminaires equipped with sensors to not just monitor the way the office is being used, but also to measure the quality of air for parameters such as ambient temperature. These metrics were then transferred from the lighting infrastructure onto a web-based dashboard, which allowed us to subsequently demonstrate how the data can be exploited to optimize space utilisation and improve the working environment. For our customers this means lower operating costs. Our solution also helps them identify office hotspots. Take two conference rooms as an example: The data can help assess how often the two rooms are occupied and thus optimize their usage. Our customer solutions grew more sophisticated over time. At the outset of our cooperation with Bosch Software Innovations, we had to define a data model and the transfer methods to connect the lighting system to Bosch Software Innovation’s Connected Building Solution. These were aspects that we had already dealt with in our earlier projects, such as the one we completed for the LifeCycle Tower ONE. But as soon as the cloud-based dashboard was ready, we put ourselves permanently in the position to take further data requirements such as air quality into consideration. All these projects – and there are several more I could relate to – reflect my personal view of the smart offices sector. For us, digital transformation offers great potential. It has altered the course of our business – from a lighting solution partner to a full-service provider and beyond in the fields of desk-/space management and optimization of working environments, including air-quality sensing. The key to offering smart solutions lies in integrating sensors into the luminaires, creating connectivity to transfer data, and using open gateways to analyze and visualize new insights. The post Smart office solutions in the area of connected lighting appeared first on Bosch ConnectedWorld Blog.